Orange-cheeked waxbill Estrilda melpoda, copyright Rainbirder. Estrilda, the waxbills, is a genus of finch-like birds found in Africa and Arabia. 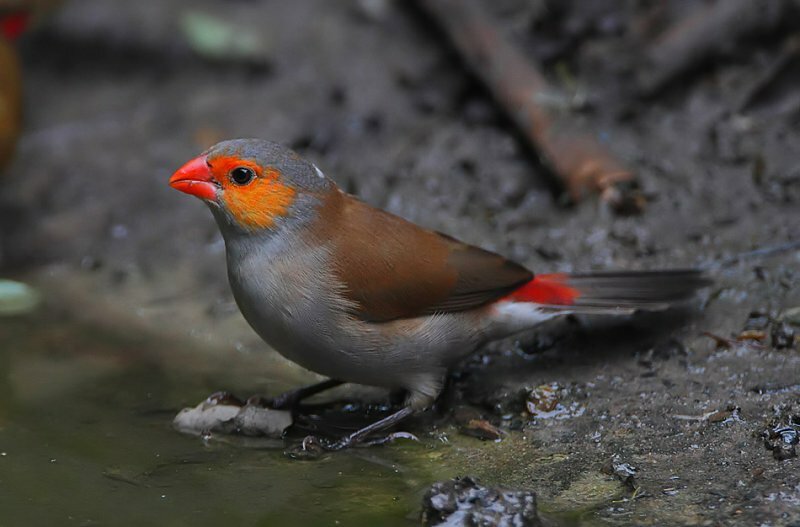 Most species have bright red bills whose waxy appearance gives them their vernacular name.